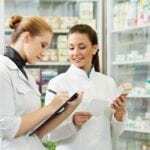 As pharmacists expand their roles and focus on more clinical and patient-centered services, they will rely more on highly skilled pharmacy technicians to assume added responsibilities in the pharmacy. Pharmacy technicians in every pharmacy environment are performing tasks that were once reserved for pharmacists. Their expanded scope of practice allows them to effectively support pharmacists. They may collect patient information, manage inventory, enter orders, compound, count, measure, and label medications, and answer customer questions. As pharmacists expand into more clinical roles and prescription drug use increases due to the aging population, there will be a greater need for pharmacy technicians. 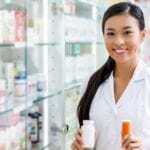 According to the Bureau of Labor Statistics, employment of pharmacy technicians will increase 9 percent by 2024 creating a bright outlook for the profession. Remington College’s Pharmacy Technician training program is well rounded with classroom lectures, hands-on projects in a real-world pharmacy, and creative learning exercises. Graduates are prepared for success on the PTCE and the Sterile Products Certification exam. Instruction begins in the classroom with hands-on skills development in the school’s mock-pharmacy, which contains simulated retail, compounding stations, and IV. The lab contains ointment tubes, weight scales, laminar airflow hoods, IV bags and tubing, and much more. Experienced, practicing instructors cover the areas that are important to employers within Caddo and Bossier Parishes. Course topics include dosage calculations, sterile products and quality assurance, career development principles, therapeutic and pharmacy law, therapeutics, prescription entry and billing, pharmacy practice, introduction to algebra, and health science essentials. Towards the end of the 52-week program, students will complete a 200-hour externship in an actual pharmacy where they will gain on-the-job experience. Tuition for the program is $20,250. The Pharmacy Technician program at Bossier Parish Community College equips students with the knowledge and skills to work as a pharmacy technician under the supervision of a licensed pharmacist. Students can complete the program is two semesters to earn a certificate. They also have the option to complete an additional 27 credits (2 semesters) to obtain an associate’s of applied science in pharmacy technician. 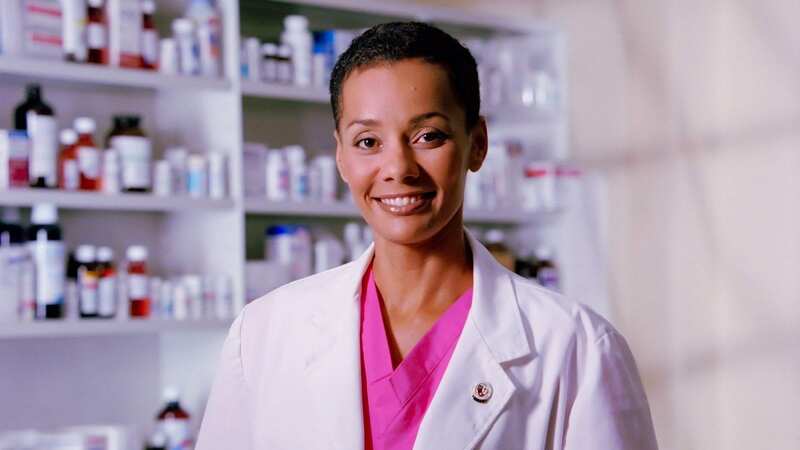 At the associate’s level, graduates will be able to use personal and interpersonal skills in their role as a pharmacy technician, assist pharmacists in the management of medication order processing, apply patient and medication safety in the pharmacy operation, perform administrative tasks, use technology in the pharmacy operation, and apply the principles of quality assurance. Course topics include health care systems and safety, medical terminology, human anatomy and physiology, introduction to pharmacy technology, and sterile products. Students must complete 34 credits for the certificate or 60 credits for the AAS degree. Interested persons must secure admission to BPCC and have a high school diploma or equivalent. A placement test will be administered to persons who have not completed college Math and English. Tuition for the ASHP accredited program is $4,763. Books and supplies cost $820. The AAS degree costs more. Pharmacy technician students acquire the competencies to support licensed pharmacists in a variety of settings through the classroom instruction and hands-on experiences the Ayers College provides. Classroom topics include pharmacy calculations, medical abbreviations, drug interactions, pharmacy law and ethics, and anatomy and physiology. Hands-on learning experiences will take place in in the school’s mock clinic as well as pharmacy externships. Students will also complete career development courses to prepare for employment. The program is available in day and evening schedules. The day classes may be completed in 36 weeks and the evening program is 60 weeks. Graduates will receive a diploma and will be prepared for success on the PTCE. Tuition for the program is $15,900. The two-credit pharmacy technician program is designed for seniors who are interested in a career in health, particularly pharmacy, nursing, or medicine. The program enables them to jumpstart their career in the field and especially focuses on the skills they’ll need to work alongside a pharmacy in a retail or institutional setting. Course topics include drug calculations, pharmaceutical terminology, pharmacology, pharmacy law and ethics and much more. Apart from training in the classroom, students will gain practical experiences through field trips and learning opportunities at local pharmacies. CPR training and certification will be offered through the program. To enroll in the program, students must have a minimum ACT of 20 and an overall GPA of 2.5 or above. The course fee of $20 will cover supplies. The pharmacy technician program at Virginia College is accredited by the American Society of Health-System Pharmacists. The curriculum includes theory and practical instruction to prepare students for a career path, which involves the support of licensed pharmacists. Students learn how to dispense medications, stock inventory, read prescriptions, and update patient records using a computerized system. Course topics include customer service, career planning, pharmacy terminology, pharmacological calculations, pharmacy operations management, community pharmacy, institutional pharmacy, pharmacy law and medication safety, disease management, sterile compounding and aseptic techniques, and much more. The pharmacy externship is an important part of the program and may require a criminal background check. Students must earn a total of 60 credits to graduate from the program. Tuition for the 55-week program is $20,350.